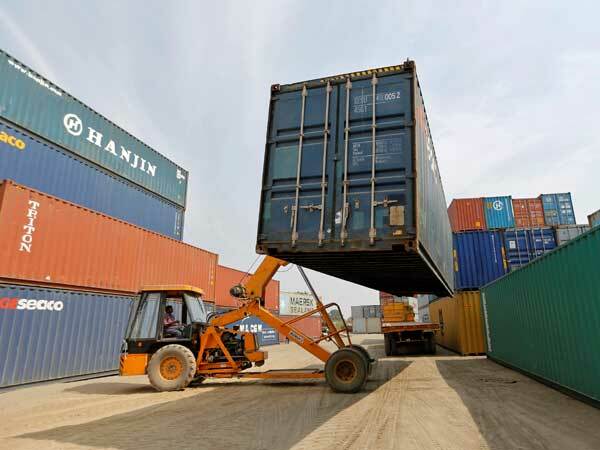 India's exports rose by 17.86 per cent to $26.98 billion in October mainly due to the low base effect even as trade deficit widened to $17.13 billion, according to the commerce ministry data. The exports on monthly basis were down compared to $27.95 billion in September. Imports during October also rose by 17.62 per cent to $44.11 billion, leading to widening of trade deficit to $17.13 billion. The deficit widened despite a steep decline of 42.9 per cent in gold imports to $1.68 billion during the month under review. The trade gap was $14.61 billion in October 2017. Exporters attributed close to 18 per cent growth in exports in October to a favourable base effect, as the foreign shipments in the comparable month of the previous fiscal were quite low at $22.89 billion. The Federation of India Export Organisations (FIEO) said that exports in October last year were even lower than that of September this year. Base effect is responsible for the high growth in October, it said. Sharing similar views, Engineering Export Promotion Council of India (EEPC) said that high growth in October has come about on the back of a favourable base effect. FIEO president Ganesh Gupta demanded for augmenting the flow of credit as the sharp decline does not augur well for the sector. The sectors which recorded healthy growth in October includes petroleum (49.3 per cent), engineering (8.87 per cent), chemicals (34 per cent), pharma (13 per cent), and gems and jewellery sector (5.5 per cent). On the other hand, exports of several agri commodities recorded negative growth and that includes coffee, rice, tobacco, cashew and oil seeds. During the April-October period of the current fiscal, exports grew by 13.27 per cent to $191 billion. Imports were up by 16.37 per cent to $302.47 billion, leaving a trade deficit of $111.46 billion during the first seven months of the current fiscal. It was $91.28 billion in April-October 2017-18. Oil imports in October increased by 52.64 per cent to $14.21 billion. The non-oil imports rose by 6 per cent to $29.9 billion in the month. Oil imports during April-October this fiscal increased by 50.48 per cent to $83.94 billion. Meanwhile, services exports grew by over 19 per cent to $16.38 billion in September, data from the Reserve Bank showed on Thursday. The services exports stood at $13.73 billion in September 2017. However, imports during the month also increased to $9.95 billion,up by 17.7 per cent over the year-ago period, as per the RBI data on 'India's International Trade in Services'. Cumulatively, the services exports by India during the first half (April-September) of the current fiscal stood at $101.07 billion. Imports of services during these six months were valued at $62.57 billion. However, the monthly data on services released by the RBI are provisional. It would undergo revision when the Balance of Payments (BoP) data are released on a quarterly basis, the RBI said.